Just in time for the holidays, Google Assistant is introducing a bunch of new smart home features, including the ability to reply to broadcast messages, create and use cookbooks, and access enhanced storybook content for kids. Most of these enhancements work with Google Home Hub smart displays and/or Google Home Mini smart speakers. Google demonstrated them in a chic San Francisco home Tuesday outfitted with all manner of smart home hardware. The most impressive demo involved the ability to turn a Google Assistant broadcast into a chat. The relatively new broadcast feature lets you use Google Assistant to transmit spoken messages to all Google Home-enabled speakers in your household, which then play them intercom-style. Now, a listener can reply by tapping a button on a display or simply talking to a speaker. The message is then transmitted to the original broadcaster. In the demo example, a person driving home from work could broadcast a message asking if their partner at home needed them to pick up something from a store. The home chef could respond with a grocery list and the rest of the conversation could proceed on the home device the responder used. Sure, you could call or text the person, but they might not be near their mobile phone while cooking, and using a Google Home-enabled speaker might be more successful in making contact. 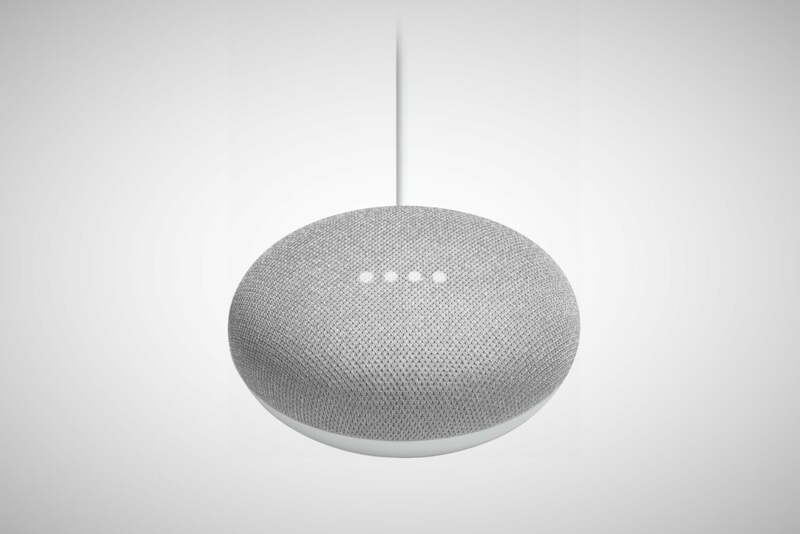 Google says this feature will be rolled out to all its Home-enabled devices over the next few weeks. Google Home Hub devices are getting a new Recommended Recipes card in their home display. This will bring up recipes you might want to try, based on those you’ve searched for in Google, as well as mealtime ( dinner, etc.) and season (Thanksgiving, summer, etc.). Recipe recommendations will be updated based on these criteria, and you’ll be able to bookmark ones you like in order to easily access them via Google Assistant. Sadly, at launch only free web recipes are available — you can’t even type in your own, much less browse your favorites from paid services such as the New York Times’ excellent recipe app. Google says this may change going forward. 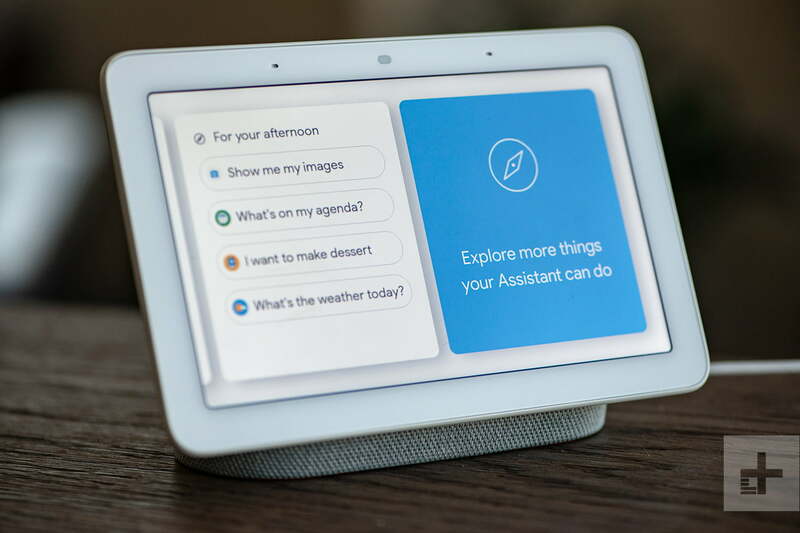 Google Assistant’s support for third-party electronics has also been beefed up on its smart displays. You can now control Panasonic, Roku, and LG TVs; Telstra set-top boxes; and Logitech Harmony universal remotes from the Home View screen. Android phone users can check out the integration of Google Assistant Custom Routines into their device’s Clocks app. Routines lets you initiate multiple actions with a single Google Assistant command, and now Android users can create custom Routines tied to Clock alarms. In the demo, dismissing a Clock wake-up alarm triggered a routine that started a coffeemaker, turned on lights, and so on. Google Assistant is also rolling out a do-not-disturb feature that will let you silence all supported smart speakers and phones with a spoken command. A somewhat curious improvement has to do with playback of Google Assistant-supported podcasts and audiobooks: You can ask that they be speeded up (presumably to get through them more quickly). In the demo, when the Google employee asked for a podcast to be read twice as fast, the audio was all but unintelligible. However asking for the podcast to just play faster was more effective. Through its media partnerships, Google Assistant is adding a kid-oriented alarm feature that lets you create alerts delivered in the voices of popular animated characters, including denizens of Legoland and Nickelodeon’s Rise of the Mutant Ninja Turtles characters. These alarms will also feature signature jokes, music, and other related content. Google Assistant’s recently announced Read Along storytelling feature provides sound effects and music to accompany parental readings of supported children’s books, and Google has added to the list a book called Ara the Star Engineer, a book written by female Google engineer Komal Sing with the goal of encouraging girls to consider STEM careers. Thanks to Google Assistant’s speech -ecognition technology, Read Along can follow along with the storyteller and insert effects at the appropriate moments. Alternatively, Google Assistant can do the reading: Just ask it to tell you a story. Google is adding 25 new Nickelodeon titles to its library in the next few weeks, including PAW Patrol’s The Pups Save the Bunnies, Dora the Explorer’s Dora’s Super Sleepover, and Blaze and Monster Machines’ Let’s Be Firefighters. Google will also let parents create Google Assistant accounts for kids younger than 13 by linking up accounts created in the Family Link app for tracking kids’ online activity. Children who get a Google Assistant account will be able to do most things adults can do with a few exceptions, most notably making purchases.